Trap your cable clutter with Mouse Tails! 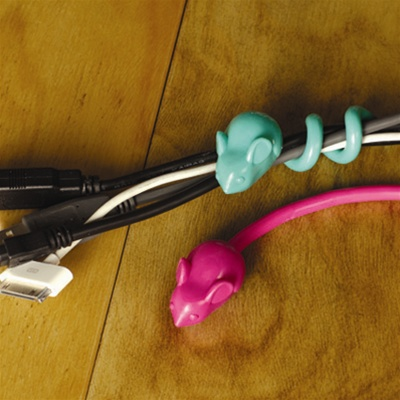 Wrap up your cable clutter with this two pack of cute critters. The wrappable tail length is 5" and can handle any mess of cords at home or in the office.